Ras was the offspring of a full Siamese and a half Siamese cross. 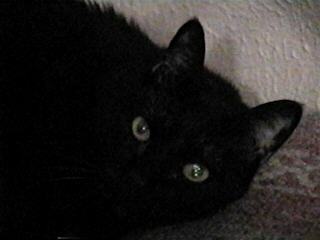 He lived with Butterfly from his kittenhood until his passing at age 18. He was as tough as his namesake, having been diagnosed with renal failure in his old age. Defying all odds, he hung in there another two years, blessing us with his special brand of loveable old cootness. There will not be another like him.